The Honor Play gaming-focused handset has disrupted the Philippine smartphone industry, bringing flagship-grade specs to the midrange category. Imagine paying only P15,990 or around $300 for a device that has Kirin 970, the same processor premium devices like the Huawei P20 and P20 Pro use. 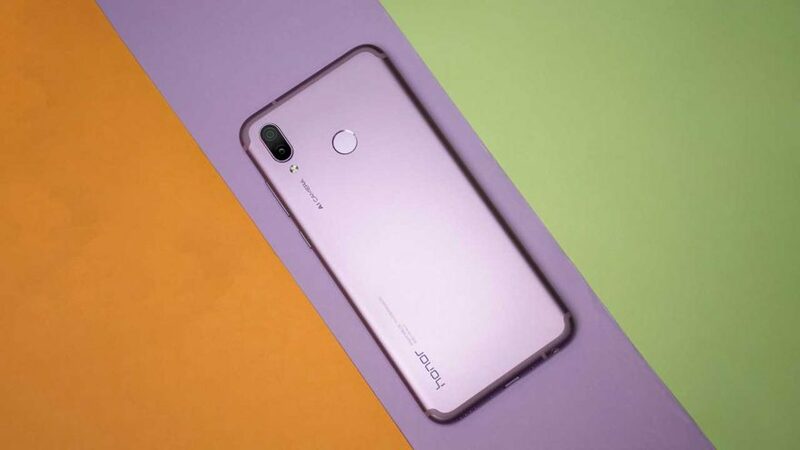 In its native China, where it was first launched in June, the Honor Play with 4GB of RAM and 64GB of storage — the same model that’s available in the Philippines — costs ¥1,999 (P15,512 or $290). Glad to see the price hasn’t really jacked up when the phone arrived here. The 6GB/64GB variant is selling for ¥2,399 (P18,616 or $348), while the limited-edition Honor Play Cool with a fancy rear cover retails at ¥2,499 (P19,392 or $363). SEE ALSO: Honor Play vs. Xiaomi Mi A2: Which phone is the better buy? Now, there’s even more reason to be excited because the version with 6GB RAM and 64GB built-in memory? The storage capacity has been doubled to 128GB, but the price is still the same: ¥2,399. The rest of the specs are similar. The color variants are still Midnight Black, Aurora Blue, and Nebula Purple, too. 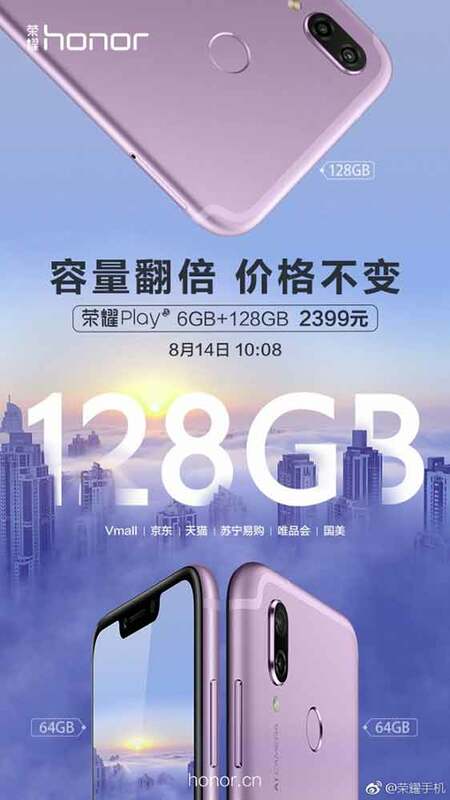 Unfortunately, Honor hasn’t said anything about a release of the said Honor Play model in the Philippines. The Huawei sub-brand’s announcement only mentioned China (ecommerce platforms like Vmall, JD.com, Lynx, and Suning.com) and the United States. We’ll let you know if we can get the representative of the local unit to comment on this.